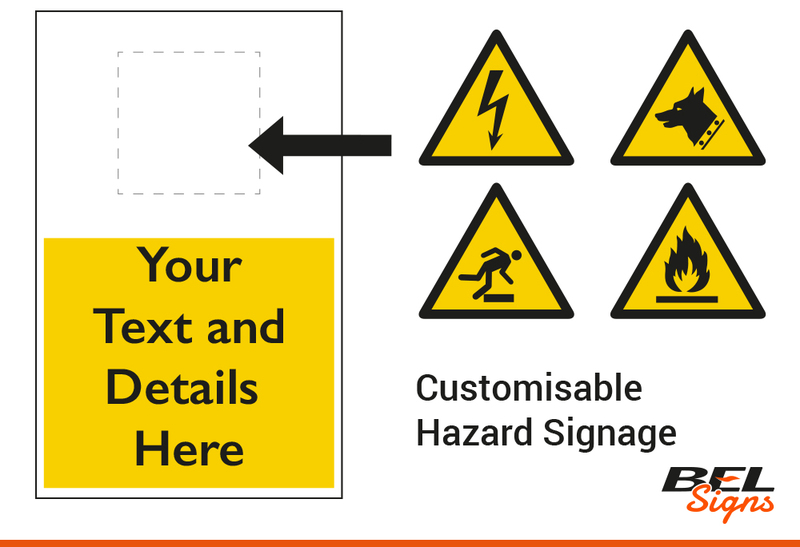 Here at BEL Signs we know it’s tough for you and your business to know exactly what should be in place with regards to your health and safety signage. But let us make it easier for you by offering a bespoke service. 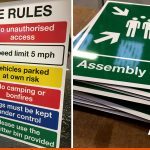 We can then put together a tailored set of signs that not only conform to best practice and current legislations but also have your logo, contact details and branding. 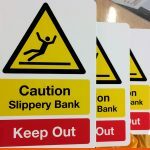 That way your signage is informative but also stylish and informs staff, visitors and the public know you haven’t just stuck up a stock sign but sought expert knowledge and found tailor-made solutions. 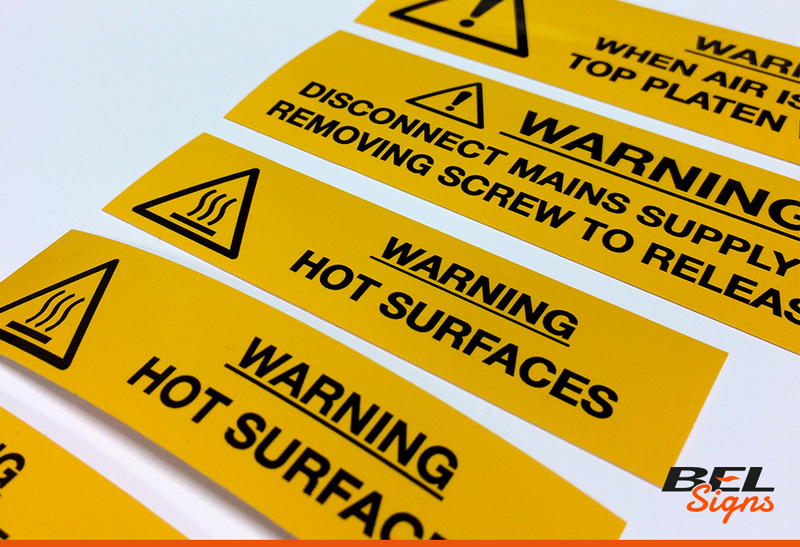 These signs can be bespoke in size and material from rigid plastic, self-adhesive vinyl, acrylic, brass or aluminium. 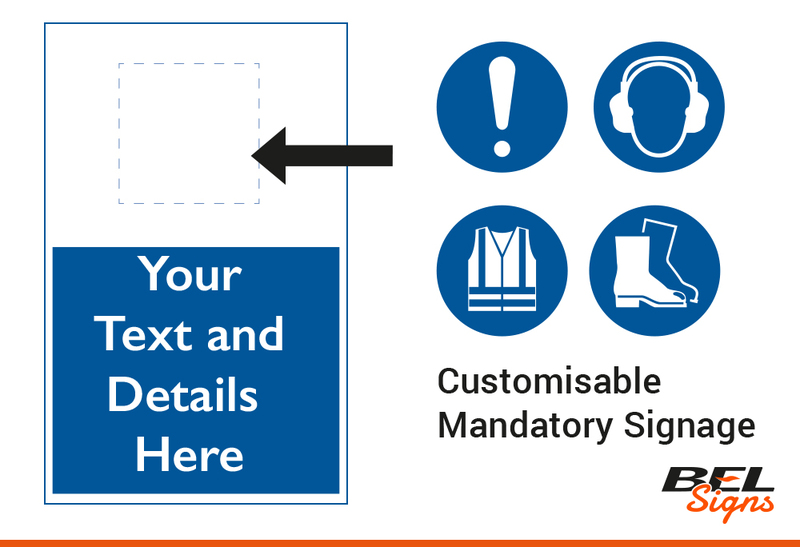 We’ve briefly covered four types of health and safety signage below, however, with an extensive catalogue and industry knowledge of health and safety signage we can offer a solution for you, contact us to find out more. 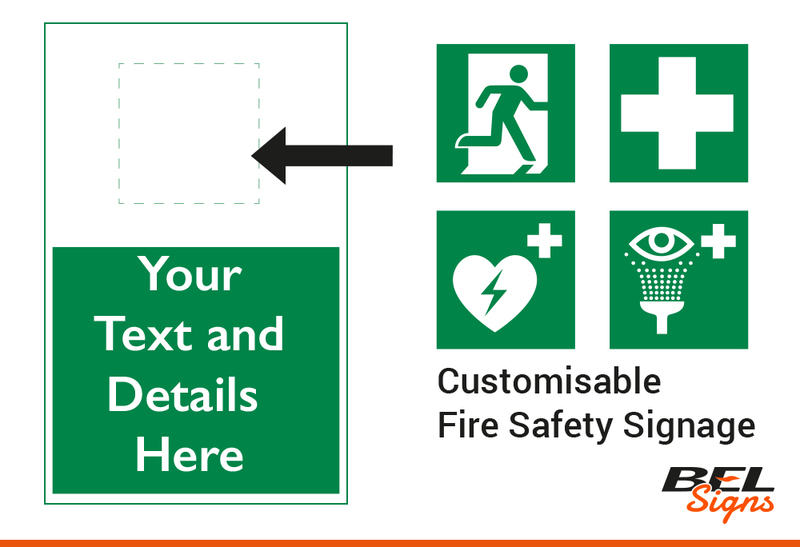 All workplaces need to have easily identifiable signs and symbols that relate to fire safety, not only where to find the exits but also alert you to fire systems and assembly points. These types of signs will be required on property doors, near alarms and at point of entry to be seen by visitors and staff. 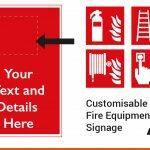 Standard fire action notices can be supplied with blank sections, however in an emergency a clearly printed sign with all relevant information on one panel is a much easier read than one scribbled on in marker. 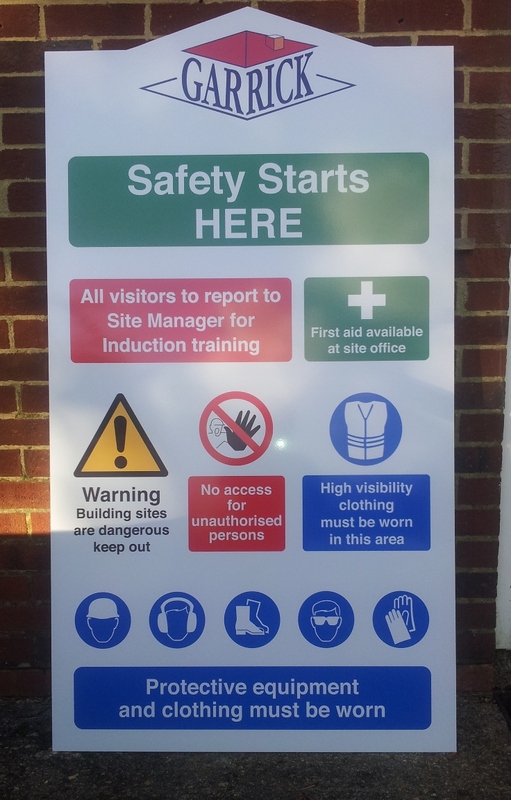 Allow us to customise your safety signage with your school, business, workplace or site-specific information. 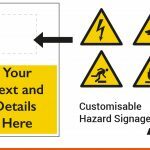 Hazard signs are a warning to all about hazardous chemicals, materials, environments and locations and make aware of any dangers. For example there are pictograms for corrosive liquids or flammable materials. These types of signs should also be arranged so that warnings can be viewed from all approaches, to warn about the dangers ahead. 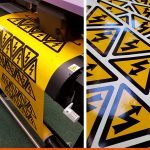 We can produce labels, stickers and signage to cover all aspects. 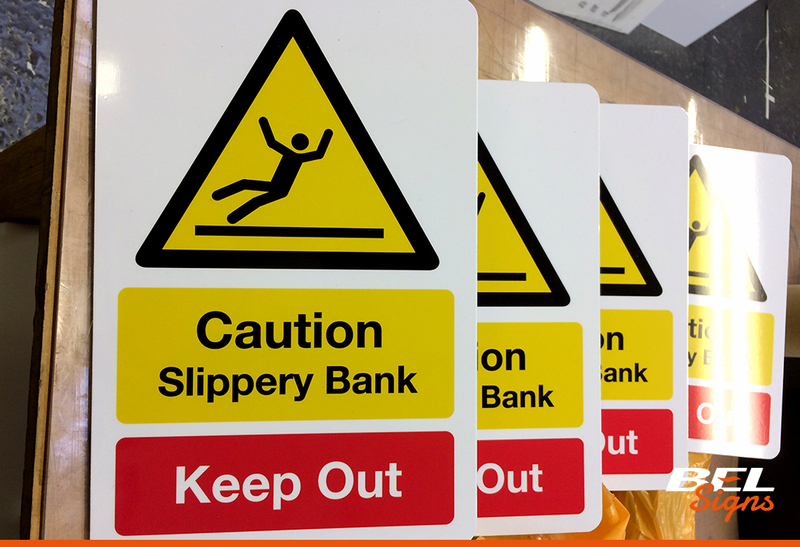 Hazard signage such as floor stands and chemical store signs can be styled with your business or building details. These signs are the type of sign usually with a white symbol with text on a blue background and show an action that is required. 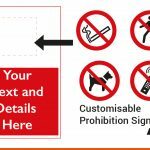 For example Keep clear, Keep off and Report to signage are parts of these with easy to understand pictograms to keep everyone informed. 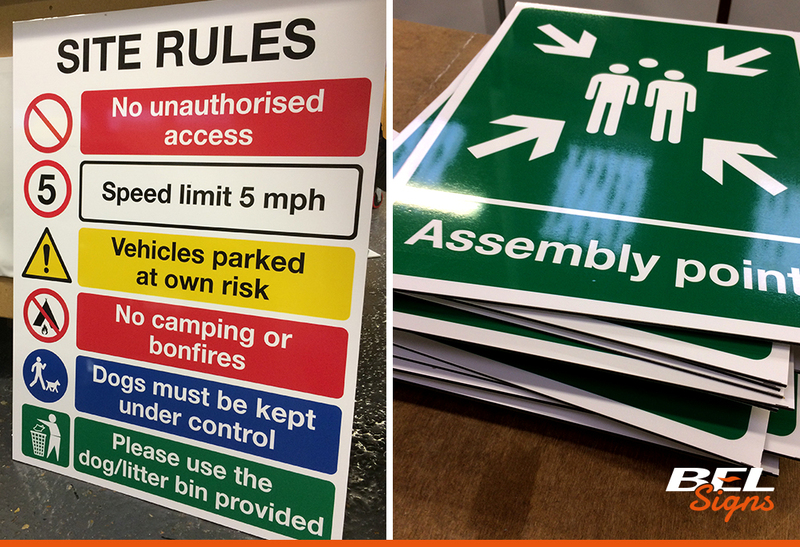 As with our other health and safety signage, a wide range of designs, fixings and materials are available and you may need a site plan to work out what signage is needed to work effectively not only to staff but also visitors and the public and should be easily visible. 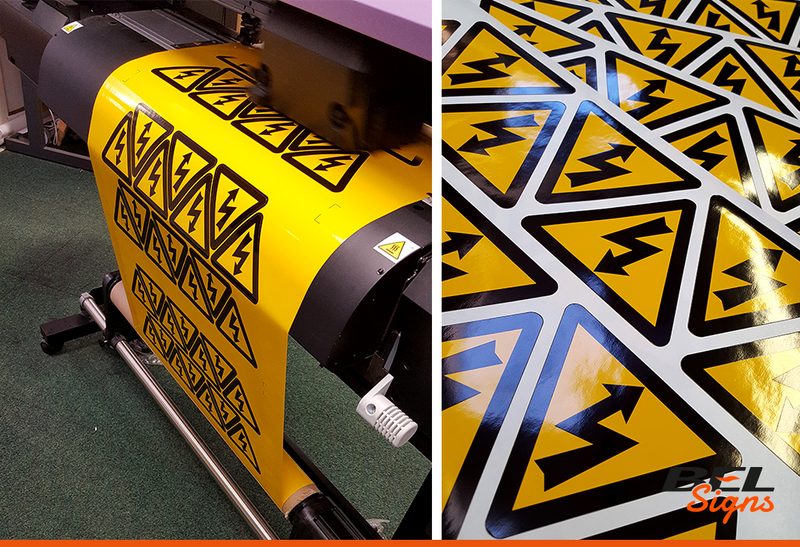 Adding your logo to the top or bottom corner will add a sense of security and some signs can be combined onto a larger sheet with your business contact details on. This type of signage tells you exactly that, what is prohibited and covey ‘Do Not’ messages. 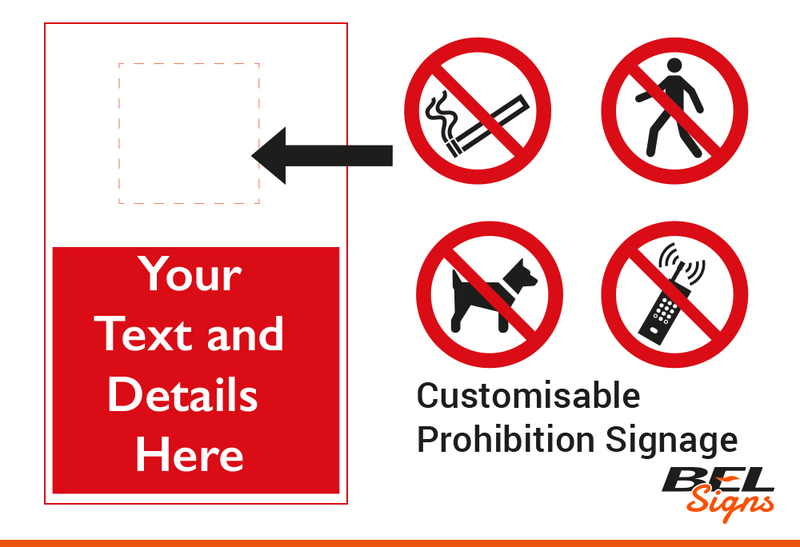 It is the type of behaviour likely to cause a risk and can show what is forbidden or how to comply with regulations, usually with black symbols and a red cross through with a circle. 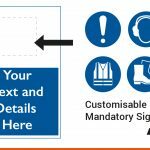 These messages can be combined to form a larger sign or board with your details and logo and are ideal for warehouses, factories or events. 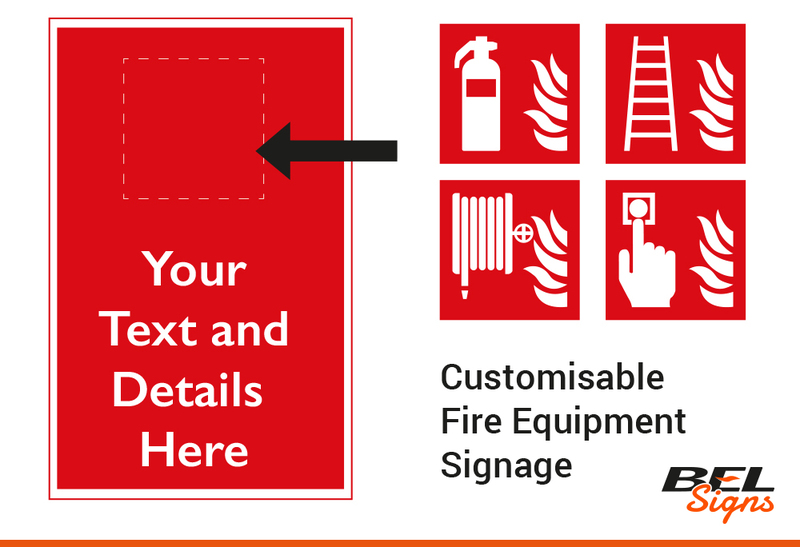 First Aid signs, whether inside or out, let everyone know when to find aid equipment. Adding your company or building details such as a postcode may help in an emergency. We can design a sign to suit. 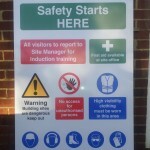 Site Safety Boards for emergencies in all commercial premises and on building sites. 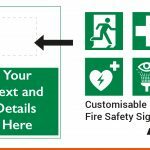 Your logo above all site specific relevant information fitted onto the entrance or reception area is a great start to any health and safety signage. 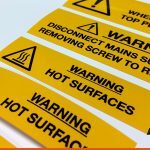 Whether you have a factory or industrial unit, run a construction site or storage yard, workplace, a shop, café or attraction – any commercial property needs to make people aware of hazards and potential risks. Contact Us for a comprehensive service.